The Thornton W. Burgess Society is a non-profit educational organization founded in 1976 to carry on the pioneering conservation work of author/naturalist Thornton W. Burgess (1874 – 1965). Mr. Burgess, who was born and grew up in Sandwich, MA., went on to achieve national and international recognition for his children’s stories that teach lessons of conservation and love of wildlife. Over 170 books and 15,000 stories by Burgess chronicle the tales of Peter Rabbit and his animal friends, including Jimmy Skunk, Grandfather Frog, Johnny Chuck, Sammy Jay, Reddy Fox, Hooty Owl and many others. Through these engaging stories, generations of young people have learned about the natural world and have developed an understanding of the importance of conservation of our natural resources. The Thornton W. Burgess Society operates the Green Briar Nature Center and Jam Kitchen at 6 Discovery Hill Road (off Rte. 6A) in East Sandwich, and the East Sandwich Game Farm. The Thornton W. Burgess Museum in Sandwich Village is now permanently closed to the public. The Tilden Arts Center houses two stages: a 120-seat studio theatre and a 680-seat main theatre. Theatre productions by Cape Cod Community College’s Theatre program are held October through November and February through May. Bus space and handicap access are available. 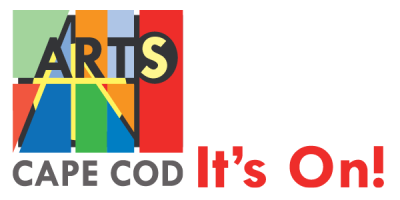 The Theater Program of Cape Cod Community College is dedicated to theatre education and production. We offer a broad range of introductory liberal arts courses in theater arts. We produce fully staged theater productions, spanning the months of September through May, as well as a fall and spring “staged reading” series. Our program aims to develop theater artists for professional careers and for participation in Community Theater. Our courses and productions, all of which are open to community residents and students alike, also serve as compelling vehicles for personal development and greater understanding of human nature. Tree’s Place has been a year round destination for museum quality art on Cape Cod for more than 45 years. Representing some of the finest living painters from this region and across the country, the gallery hosts ten exhibitions annually, in addition to artist lectures, demonstrations and other opportunities for learning about fine art. Sign up at www.treesplace.com to receive notifications of opening receptions and other special events. Turning Pointe Dance Studio aims to be a source of inspiration for those who want to make the arts, especially dance, a continued part of their lives. We offer dance classes for ages 3- adult to all levels and abilities in ballet, jazz, tap, contemporary, lyrical, hip-hop, and more!! MISSION STATEMENT The Vinegrass Organization’s mission is to enhance the cultural quality of life through the production of American Rhythm & Roots concerts and festivals. We will preserve and foster this traditional American genre of music through scholarships, workshops, and instruments, ensuring its place for generations to come. ABOUT VINEGRASS The Vinegrass Organization is a not-for-profit music production company, that produces concerts, camps, workshops, and The Vinegrass Music Festival, in order to raise money for our charitable mission. The mission is to provide scholarships to students studying music at an accredited 4 year university, with preference given to study within the American Roots and Rhythm genre. In addition to the scholarships, we will subsidize camps and workshops, as well as provide instruments to younger students in need. As the Vinegrass Organization plants their roots fiscally, an annual grant will be awarded to an artist or band in the Rhythm & Roots genre, with preference to a Cape Cod band/artist. Founded by Monica Rizzio (Front Woman for the Old Kings Highway) in August of 2013, Vinegrass is a lifelong dream for Monica to give back to those who have helped her become a professional musician. Raised on a ranch in east Texas, Monica always loved music, but her family’s financial means prohibited her from taking music lessons and having instruments. Her only instrument for the longest time was her voice until she was able to play the flute in the middle school band. Monica did not learn to play the fiddle, ukulele, or guitar until she was 23, after graduation from Belmont University in Nashville with a degree in Music. She often wonders what may have been had she been given the opportunity as a child. She has opened the only roots based music school on Cape Cod, West Bend Music which provides musical instruction for the Fiddle, Banjo, Mandolin, Guitar, Piano, and Ukulele. PROGRAMS Throughout the next year, Vinegrass will host The Vinegrass Music Series leading up to the Vinegrass Music Festival. These concerts will feature regional and national touring bands and artists in the Americana, Bluegrass, and Folk genres. As part of these concerts, we will offer workshops and educational programs in the local schools provided by the musicians which will focus on their instruments, style of music, and songwriting.  Finally, the Vinegrass Music Festival, to be held October 4, 2014, will invite higher profile touring bands and artists for a one day, 1000 person event, to be held at Truro Vineyards. This will be an all-ages event, and is the principal fundraiser for the Vinegrass Organization. The Visual Arts Cooperative is a group of artists working in various media who join together in order to promote their work to the general public and to foster increased understanding – mainly among themselves, but also others – of the various aspects of creativity in the visual arts. Each year, the Visual Arts' Cooperative produces several exhibitions of members' work throughout Cape Cod. We Are The Men, MVC is a 30+ male voice choir which performs choral concerts of both secular and sacred songs in the traditions of Welsh male choral groups. The chorus takes its membership from some 17 Cape towns, from Mashpee on the West, to North Chatham on the East. Directed by Chris Roberts, this robust group will be performing in a number of concert venues during 2010. The White Heron Theatre Company produces transformative, professional productions of classical and contemporary plays and creates innovative educational experiences based on that work. The White Heron Theatre Company was founded in 2006 with Earle Gister, Yale Drama School Graduate Acting Dean, as our artistic director and Lynne Bolton as producing director. White Heron produced plays Off Broadway in New York at Second Stage Theatre. The company consisted of Yale -trained actors and directors and our focus was on classical and neo-classical theatre. The Company was very successful and continued for 3 years until Gister retired for health reasons in 2009. Although, members of the company continued to work together, White Heron, itself was in hibernation. Fast-forward to October of 2011. Lynne has gravitated to Nantucket as her artistic home. She is directing The Crucible, a co-production of the Nantucket Historical Association and the Theatre Workshop of Nantucket at the Friends Meeting House on Nantucket. She begins working with Michael Kopko, an actor who has been trained similarly. She brings in several actors from New York and Yale for the Crucible cast, including Tony-nominated Yale graduate Devine Randolph to play Tituba. This talented group of actors began to talk about incubating plays on Nantucket and taking them into the world with an educational component that could help kids in our country and abroad. The White Heron Theatre Company is reborn. Summer Season of Repertory Theatre, winter productions for the year-round community, summer collaboration with Long Wharf Theatre for new plays, autumn Playwright’s Workshop in collaboration with New Dramatists’ and the Arts Council of Nantucket, acting and theatre instruction for high school students. WOMR/WFMR is a noncommercial, nonprofit educational community radio station that since 1982 has offered an eclectic blend of music and spoken-word programming. It broadcasts from Provincetown, Massachusetts—making it “outermost radio.” WOMR/WFMR is not affiliated with any educational institution and derives its financial support from listeners, businesses and funding organizations. More information at www.womr.org. Woodruff's Art Center is locally owned and operated. It houses an art gallery which features changing exhibits by established and emerging artists. There is also a complete art supply store with a unique selection of high quality and value-minded fine art supplies, as well as a full service quality custom frame shop. There are monthly events which include meet-the-artist receptions, art demonstrations and workshops. It is open 7 days a week yearround. It is located in Mashpee Commons on the north side (near Stop&Shop) and located across the street from it's sister store Rice Gallery, which features works by over 30 artists and artisans. The Woods Hole Cantata Consort, founded in 1973, is a community chorus whose mission is to educate singers and perform classical works of great composers. With singers drawn from the science community in Woods Hole as well as the Upper Cape, the Woods Hole Cantata Consort provides the only resource for singers and lovers of choral music available in this region in the summer. 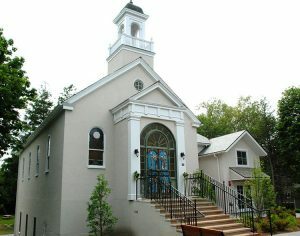 Headquartered at the Church of the Messiah on Church Street, WHCC annually presents two concerts with a professional director and orchestral accompaniment. Woods Hole Handworks is an artists’ cooperative gallery located in the heart of Woods Hole Village on Cape Cod, Massachusetts. The gallery has been in operaton for over 30 years and specializes in hand-crafted works by regional artists who represent a variety of creative styles and processes. Woods Hole Handworks features the work of local artisans working in a variety of mediums including jewelry, ceramics, wood, fabrics, painting and print. Our artists are accomplished and show in juried exhibitions in Massachusetts and beyond. When you visit the gallery you’ll enjoy the best of what the area has to offer in art and craft work! Woods Hole Jazz is a volunteer, not-for-profit effort to enrich the community by bringing live jazz performances to Falmouth on Cape Cod. Over the past 35 years Woods Hole Jazz has presented jazz artists such as Bucky Pizzarelli, Dave McKenna, Al Cohn, Alan Broadbent, Esperanza Spaulding, Howard Alden, Herb Pomeroy, and Bobby Green. The series typically includes seven or eight jazz concerts in the spring and three in the fall at historic Woods Hole Community Hall in Falmouth. The Woods Hole Theater Company, a non-profit, tax-exempt organization, has been in residence in the village of Woods Hole since 1974. Its purpose is to engage in and promote the cultural growth of the community of Woods Hole and vicinity. WHTC operates year-round, producing a wide variety of plays at affordable prices. Its traditional home is the historic Woods Hole Community Hall of 1878. Open year-round. The Yarmouth Art Guild is composed of those who believe art is essential for the well-being and spirit of the community and its people. The Yarmouth Art Guild’s mission is to provide educational and enrichment experiences for its members as well as seeking venues for the exhibition of their artwork. Founded in 1980 with 25 members, the Yarmouth Art Guild is now 225 members strong. Through the years, our founding principles of providing our members and the community opportunities in art expression, education and creation has never wavered. The Guild provided educational and enrichment experiences through its museum visits, artists demonstrations, indoor and outdoor art exhibits, fundraisers, awards. workshops and Artists’ Paintbox Gallery. The gallery is located at 11 North Main Street in South Yarmouth. Through its interaction with other organizations and charities in the community, the Yarmouth Art Guild supports and encourages those who share in its vision. Yearly membership dues are currently $35 and subject to change each year. Visitors may attend General Membership meetings as a guest. Suggested donation for visitors is $5. General membership meetings with demonstrations by artists involved in varying media occur on the second Friday of the month, September through May, 1:30 pm in the Meeting Room at the First Congregational Church, 329 Main Street, Route 6A, Yarmouth Port. Artists’ Paintbox Gallery located at 11 North Main Street in South Yarmouth. 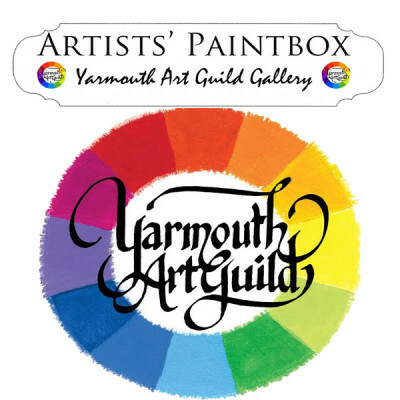 In keeping with our mission to provide educational and enrichment experiences for our members and seeking venues for the exhibition of their artwork, the Guild opened its own gallery, Artists’ Paintbox, Yarmouth Art Guild Gallery. The Artists’ Paintbox, Yarmouth Art Guild Gallery is a collaborative of almost 40 Yarmouth Art Guild Cape Cod artists. Many are award-winning artists displaying original paintings, in a variety of mediums–oils, pastels, watercolors, acrylics and line drawings–throughout the gallery. All original paintings are for viewing enjoyment and for sale. Our gift shop contains some original artwork plus prints, tiles and cards. Stop in and visit us to explore our featured artist exhibition and attend our receptions throughout the year. Refreshments served and events are free and open to the public. The Artists’ Paintbox, Yarmouth Art Guild Gallery is located at 11 North Main Street in South Yarmouth. You may reach us by calling 508.394.4500. Hours of Operation: May 1 to October 31–Daily from 11 AM to 5 PM. November 1 to December 21–Friday Saturday & Sunday, 11 AM to 4 PM. December 22 to Feburary 28–Closed (or as posted for possibly open during February school vacation). March 1 to April 30–Friday, Saturday & Sunday, 11 AM to 4 PM or as posted for possibly open during April school vacation). The Cape and Islands enjoy a rich history created by people of color from the region. Many journeyed from across the ocean, and once here, continued journeys of another kind. We see the extraordinary roles and contributions of people of color spanning the eras of the slave trade, abolitionism, and more recently, the civil rights movement. People of color have been the backbone of the whaling and cranberry industries over the centuries. African-Americans, Cape Verdeans, and other people of color helped shape the Cape Cod of today.